Marissa Nadler doesn’t get nearly enough credit for having a sense of humor. Her wit is as dry as it as subtle on her eighth album, a collection of songs that are also disconsolate and foreboding. Those traits are how the Boston singer is more generally known, and for good enough reason: Nadler favors a harrowing folk sound that she calls “slow music,” full of spectral, minor-key musical arrangements that emphasize guitars, piano and strings. She rarely uses drums, which sometimes gives the impression that her songs are untethered to anything more than her voice. Nadler’s vocals are at once soft and steely on lyrics with a poetic, sometimes gothic streak. It’s a very intentional, stylized approach, which makes her flashes of wit all the more startling. Yet there’s a droll undertone to parts of For My Crimes, along with its darker themes. Marissa Nadler is comfortably the most consistent folk artist plucking an acoustic guitar right now. With eight studio albums in 14 years—not a dud among them—plus a number of self-released records, EPs, guest spots, and compilation appearances, she boasts the super prolific output of studio-loitering rappers, productive paperback writers, or Samuel L. Jackson. But For My Crimes might well be the best record in her saintly catalog. After the heavier, post-rock atmospherics of her fine 2016 release Strangers, Nadler opts for a more stripped-down ethos. Maybe this is a wild misreading, but Marissa Nadler doesn’t get nearly enough credit—or any at all, really—for having a sense of humour. Her wit is as dry as it as subtle on her eighth album, a collection of songs that are also disconsolate and foreboding. Those traits are how the Boston singer is more generally known, and for good enough reason: Nadler favors a harrowing folk sound that she calls “slow music,” full of spectral, minor-key musical arrangements that emphasize guitars, piano and strings. She rarely uses drums, which sometimes gives the impression that her songs are untethered to anything more than her voice. Nadler’s vocals are at once soft and steely on lyrics with a poetic, sometimes gothic streak. It’s a very intentional, stylized approach, which makes her flashes of wit all the more startling. Yet there’s a droll undertone to parts of For My Crimes. On “All Out of Catastrophes,” Nadler ratchets up the melodrama to teetering heights, and when her lover mumbles another woman’s name in his sleep, she breaks the tension by observing, “It was the nicest thing you said.” She mentions someone wanting to fake his death “again” on the quietly poppy “Flamethrower,” and offers a skeptical rebuke in the title of “Are You Really Gonna Move to the South?” It’s sensual and melancholy, and Nadler’s voice floats atop finger picked acoustic guitar and an aching high harmony part. There are darker themes on For My Crimes. Nadler sings the title track from the perspective of a death row inmate pleading to not be remembered for his transgressions. Her vocals are calm and matter-of-fact, and Angel Olsen contributes a harmony part mixed far enough back that it hovers like a shadow. “I Can’t Listen to Gene Clark Anymore” captures the feeling of swearing off a favorite singer whose music dredges up once-fond memories, with trebly electric guitar strumming, sad, spiraling violins and plus vocals from Sharon Van Etten. Album closer “Say Goodbye to That Car” is unexpectedly poignant as Nadler thinks back on her associations with the old beater, and turns the odometer reading into a hypnotic refrain over a spare guitar part. The riff on “Blue Vapor” strains against the limits of the song, injecting a sense of urgency, while Nadler and guest Kristin Kontrol of Dum Dum Girls send their voices spiraling upward, alternately intertwining and tangling. It’s perhaps the most forceful moment on an album built on understated power, evocative lyrics and Nadler’s lithe voice—and, just maybe, a hint or two of sly humor. The eighth album from Marissa Nadler, “For My Crimes”, is the sound of turmoil giving way to truth. The songs stare down the dark realization that love may not be enough to keep two people together through distance and differing needs. By asking these difficult questions about her relationships, Nadler has found a stronger sense of self and a sharper voice as both a songwriter and a vocalist, culminating in her most evocative entry in an already impressive discography. The album is set for release on September 28th, via Bella Union and Sacred Bones. Later, closing track “Said Goodbye To That Car” turns a final odometer reading into a rhythm for a catchy, wistful hook: “1-1-9-6-5-7, and the engine blew/“1-1-9-6-5-7, and I thought of you,” Nadler lulls, harmonizing with herself. It’s an ingenious way to capture the end of an era in one small moment, and she moves as delicately as you would handling an old photo with her sweet oohs. These women and others helped make For My Crimes as dynamic as it is intimate, but Nadler’s mesmerizing voice stripped of nearly all reverb is what sits at the center of these songs. You can hear the emotional range of her performances more than ever before, from the spectral harmonizing of “Are You Really Gonna Move To The South” to the cheeky boredom of “All Out Of Catastrophes,” two other highlights. As a singer, she has never sounded more confident than she does here. Adding to the album’s deeply personal feeling is its abstracted artwork, featuring Nadler’s original oil paintings. Though Nadler is a graduate of the Rhode Island School of Design and a semi-retired art teacher (she has one student left a 95-year-old named Doris), For My Crimes marks the first album cover bearing one of her paintings. 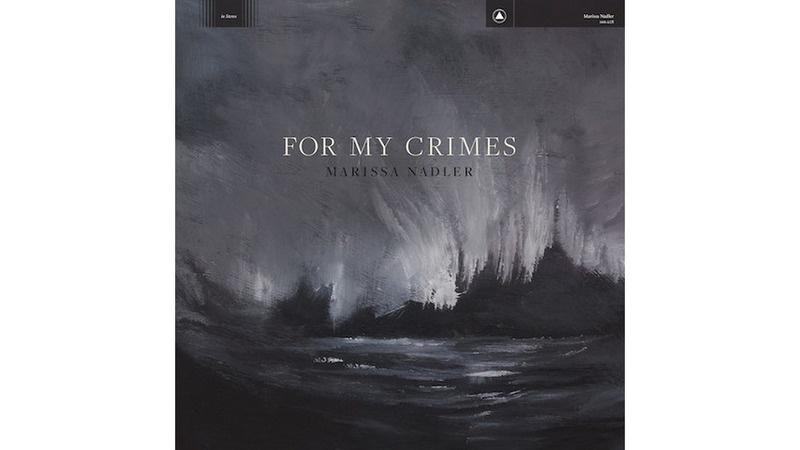 She also channeled the album’s themes into paintings corresponding to specific tracks, which will be included as prints in the limited edition version of For My Crimes (and in some cases, for sale as originals on Nadler’s website). The eighth album from Marissa Nadler, For My Crimes, is the sound of turmoil giving way to truth. The songs stare down the dark realization that love may not be enough to keep two people together through distance and differing needs. By asking these difficult questions about her relationships, Nadler has found a stronger sense of self and a sharper voice as both a songwriter and a vocalist, culminating in her most evocative entry in an already impressive discography. The album is set for release on September 28th, via Bella Union and Sacred Bones. Releases September 28th, 2018 The album is set for release on September 28th, via Bella Union and Sacred Bones. On June 29th, archival record label Numero Group, releases ‘Electrophia‘, a compilation of songs, recorded in the mid-80′s and remastered from the original tapes, by American dream pop artist Happy Rhodes. 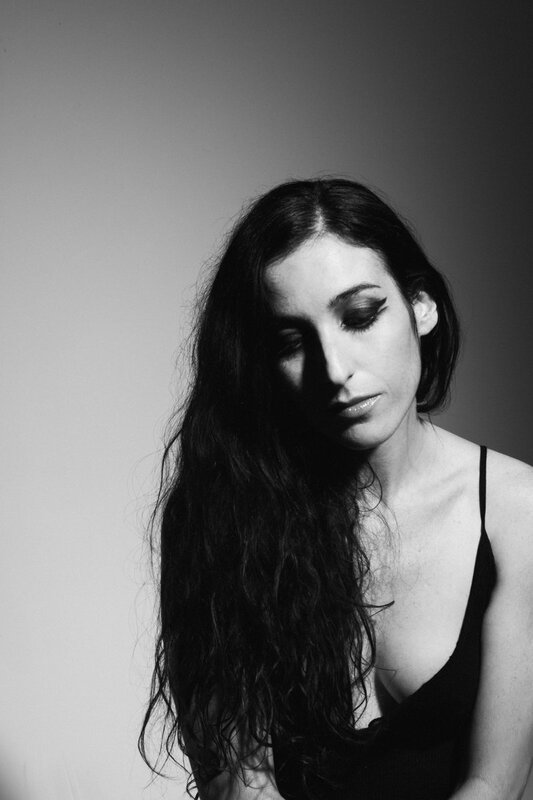 To mark the occasion, American singer/songwriter Marissa Nadler, has shared a cover of one of those songs. It’s called ‘Where Do I Go’ . Since releasing Strangers in 2016, Marissa Nadler has contributed her spectral stylings to a number of different projects. Based in upstate New York, Rhodes was known for her four-octave range and her meld of classical influences with synths and acoustic guitar. Nadler’s own interpretation of Rhodes’ 1986 track uses a sultry guitar in place of an electronic organ and synth. Her voice commands a softer, hypnotic force. Listen to “Where Do I Go” below. A companion piece to the 2016 LP ‘Strangers,’ consisting of home recordings contemporary to that album’s sessions. Strangers is a beautiful and haunting record, these recordings are a superb addition. Marissa brought us a beautiful album full of melancholy..her voice and melodies are taking us out there. All the colors of the dark makes me shivering, and from now on, Marissa is not a stranger for me anymore. Please take time to listen to her incredible record. You will not be disappointed ! Marissa Nadler is an American musician and fine artist based in Boston. Active since 2000, she is currently signed to Sacred Bones Records and Bella Union in the UK. Marissa recently released her seventh full-length studio album, Strangers, in May 2016.